David Haylock is the founder and director of Vision Earth Society, Living Food Films, and Rawganics. 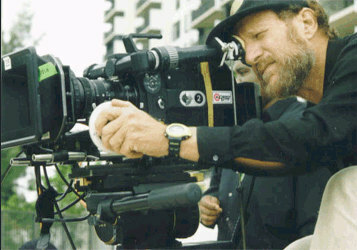 He is an award-winning film producer, director, cinematographer, and videographer who has established a reputation for excellence under pressure. He always delivers top quality film, video, and high definition images. 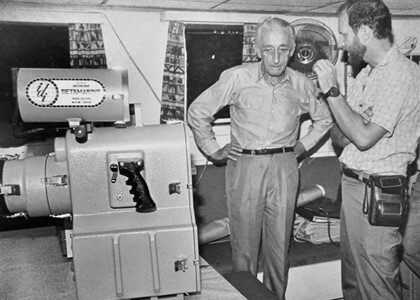 Jacques Cousteau talks with David Haylock about his BetaMarine camera. The BetaMarine Underwater Camera System was invented by David Haylock. With its color monitoring and on board correction capability, the BetaMarine was the leader in underwater production for several decades. 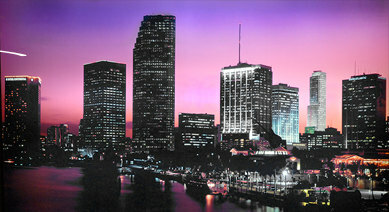 David has been filming documentary and current events television for more than two decades. He has produced and co-produced with the likes of BBC and NBC Dateline, and has shot for virtually every European television network starting with ARD and going all the way through ZDF with dozens in between. He has shot for Spain, Italy (RAI), Sweden, Denmark, Germany, Holland, France, England, Scotland, Ireland and Wales, just to mention a few. 2nd Unit for Maximum Bob, Warner Bros.